Lazy Sunday afternoons make me crave new music. Seek and ye shall find, they say – that’s especially true when you happen to be on the internet. I’ve been listening to the debut album by Atoms for Peace all afternoon. 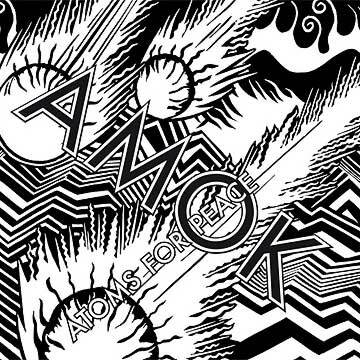 Radiohead and Red Hot Chili Peppers lovers, heads up: the Atoms for Peace album, called Amok, was released on February 25th. They’ve been around since 2009, even though they didn’t have an official name for a long time. The group includes Thom Yorke, the inimitable voice of Radiohead; Flea, the bassist from RCHP; Nigel Godrich, Radiohead producer; Joey Warnoker, of Beck and R.E.M. ; and Mauro Refosco, Brazilian percussionist. That’s a powerful combination. Amok is a bass-ier, electro-ier version of a Radiohead album. The beginning of a couple of tracks feature a bit of an 80s video game feel before descending into typical electro-spacey territory, “Default” and “Amok” especially. (And those are currently my two favourite tracks on this album, incidentally.) Overall, the album is seamlessly beautiful, and was produced with the level of pristine musicianship and care that one would expect of such veteran musicians who have been collaborating on a project for years. It’s lovely to get a Radiohead-esque fix, as always, but Atoms for Peace offers something different with Amok, as well. It’s as if the tracks are strung up taut alongside one another on a wire. There’s an expectancy here, a tension that builds throughout, even though the album seems complete by the last notes of the final song, “Amok.” I’m not usually one to pay exceeding attention to percussion, but every novel sound on this album adds a depth that makes it worth your while to crank the speakers up and just indulge. The great thing about music is that it’s almost impossible to overdose from too much of it (and the same thing can’t be said for most of our other vices). A friend told me recently that the best way to describe good music is that it makes his brain float. Thom Yorke’s trademark whispery whine is both familiar and haunting, the perfect sound to float me through these last chilly weeks of winter. 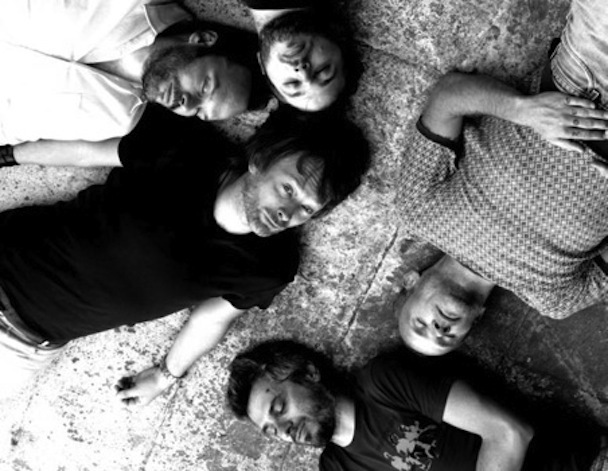 Hear more on Atoms for Peace’s site, if you’re so inclined.